Up and down the United Kingdom, more professional CV writing services are opening their doors to new business than ever before. A relatively new business area and one that’s flourished since the introduction of the Internet, it’s now possible to hire a professional CV writer at any time and from any place for a relatively low price. 1 – What Exactly Does a Pro CV Writer Do? As the title rightly suggests, it’s the job of the pro CV writer to take responsibility for planning, prepping and planning a professional quality CV on behalf of any client that comes their way. The client provides the CV writer with as much information as necessary, there may be a list of questions to be answered by the client and then the writer steps in to take charge of the actual writing process. As this can now all be handled online, it’s often as simple as filling out an online form, making the payment as necessary and waiting for the CV to be returned to you. 2 – What’s the Benefit of Choosing a Pro CV Writing Service? 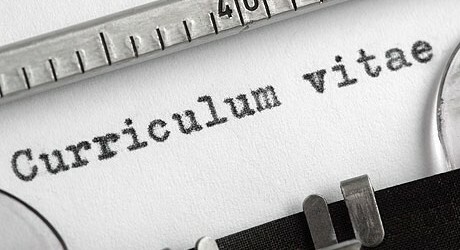 The long and short of it comes down to how important any given person’s CV is. More often than not, this is the single document that will determine not only if you get the job you’re applying for, but perhaps how much you can expect to get paid and your long-term promotions prospects to boot. As such, it simply makes sense to bring in the assistance of those that live and breathe CVs day in and day out, as opposed to the average person who may pen less than half a dozen CVs in a lifetime. With the help of those who know CVs better than anyone else, your abilities, experience and personal qualities are given the opportunity to sing. 3 – Is It Not Dishonest to Turn to the Professionals? Absolutely not, it’s simply case of being proactive and resourceful. The simple fact of the matter is that these services are universally available to pretty much anyone these days and aren’t what you’d call expensive. As such, with there being such a huge divide in the CV writing skills of one person to the next, you could technically say it’s only fair that those in need of a little help are given the assistance needed to make their applications shine. Or in other words, you could say that a pro CV service has the potential to level the playing field like nothing else. 4 – Do Professional CV Writers Lie in Order to Enhance Your CV? One of the primary criticisms that get sent the way of the CV writing service is the one which accuses such services of embellishing the facts and in some cases bare-faced lying in order to enhance the CV of the person in question. In reality however this just isn’t the case at all for one very clear reason – the pro CV service will only ever include the information submitted by the applicant. As such, if the information submitted is 100% accurate and fair, 100% of the information within the CV will be just as accurate. If the applicant chooses to lie, there’s nothing the CV writer can do about this. 5 – Are Applicants Looked Down on By Employers for Seeking CV Help? In a word, no. When an employer is looking to take on new employees, there’s only one thing in the world that matters to them – getting the best person for the job on board. As such, if it takes the help of a CV pro top help you get across how perfect you are for the job, there’s really no reason why the employer would interpret this as anything but a good thing. What’s more, employers generally respond very kindly to signs of prospective employees being resourceful, using their own initiative and doing what it takes to get the job done properly – all boxes ticked by the pro CV penning service. The right CV can help you land the job of your dreams, so why not enlist the right help from the start and make your CV shine?